An event organised by the Melbourne Skeptics and the Melbourne Eastern Hills Skeptics saw a science, religion and philosophy teacher and a science-oriented bookseller discussing their favourite books. 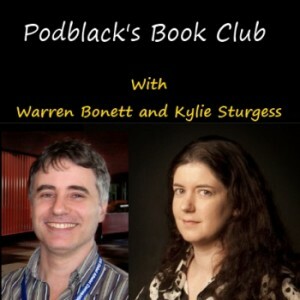 Kylie Sturgess is an award-winning blogger and fellow podcaster, a Philosophy and Religious Education teacher and writer for a number of Skeptic publications. In 2010 she co-authored a paper about superstition in Queensland, which was published in a peer-reviewed journal. Warren Bonett is from Embiggen Books, a bookshop formerly on the Sunshine Coast and now moving to Melbourne. Embiggen specialises in scientific and skeptical books and, according to their website, boasts “the biggest range of popular science titles instock in the observable universe”. They also have a growing range of technical science books and even an art gallery. Kylie has posted her Top 20 book list here, and I’ve heard good things about all of them so you should definitely check them out! Update: Friend of the show Lucas Randall has posted the complete list of all books mentioned here.